Vegetables haven't always been cooked in the healthiest of ways in the South. In this edition of her Taste of a Place column, bestselling author and former Atlanta Journal-Constitution food editor Anne Byrn challenges home chefs to transcend classic meat and three veggie preparation with three tastefully modernized recipes. I live in the land of the meat and three. Along with hot chicken (and country music), that's Nashville's claim to fame. Meat and three means you pick one meat offering and a trinity of veggie sides to go with it, and there's nothing profound about its history. If you served hot Southern food in restaurants and diners it was an efficient method to keep the line moving, I suppose. But this way of selling Southern food is surely rooted in the home, where you might have a pork chop or piece of fish and three vegetables alongside your plate. However, we've woken up to the fact that the way we've cooked Southern veggies may taste good but isn't good for us. My apologies to Southern chefs and authors who’ve espoused the gastronomic pleasures of greens dripping in pork fat, okra fried in bacon grease and squash swimming in butter. I'm going to tell you, right here and now, there is a better way to cook those garden veggies -- a way that respects their natural and local flavors, is still pleasing to the palate and will have the full approval of your cardiologist. If you are with me, read on. If not, there’s always your favorite meat and three. According to Virginia historian Leni Sorenson, Southern food history is rooted in economy. "The poor didn't eat desserts, couldn't buy sugar... they made do with field peas.” And she added, "They wanted fat meat, like pork, for sustenance." 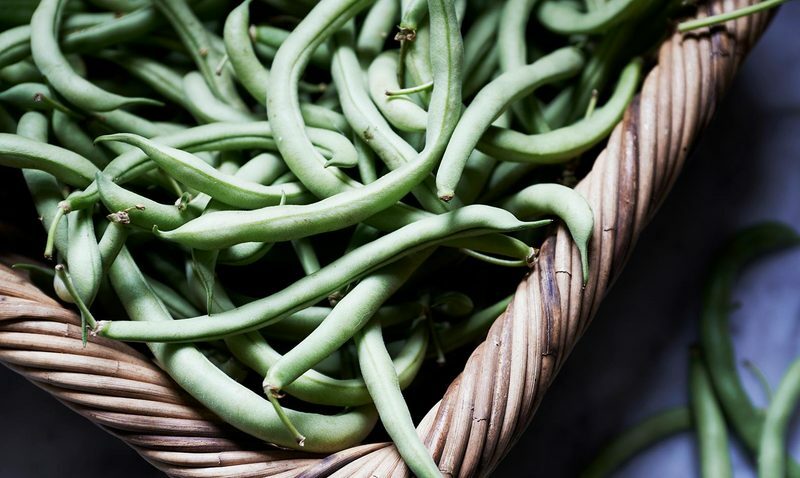 The reason green beans were originally simmered in pork fat is that fatty meat was available on farms that raised hogs. The salty, rich flavor of the pork made those beans flavorful and the fat made them substantial. Those beans or peas, simmered in a pot with water and pork, were the main dish. That hog jowl and the fatback -- whatever you call it -- was added to give everyone the feeling of satiety. It also added more calories to vegetables, which increased the amount of energy that could be expended in fields or factories until the next meal. 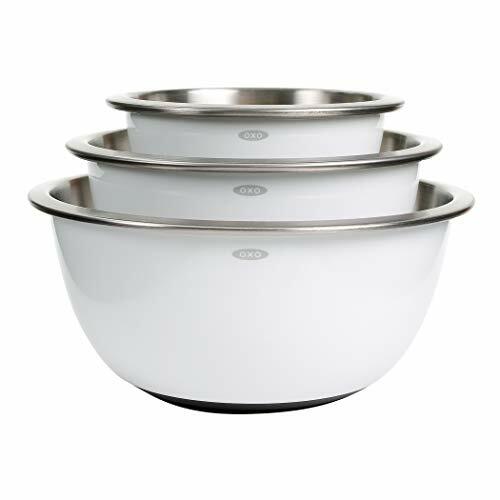 Believe it or not, there was a time when cooks added a teaspoon of baking soda to pans full of green vegetables so they would stay bright-green after cooking. Baking soda neutralizes the natural acids found in green vegetables. As the vegetables cook, the color goes from bright green to dull, but if soda is added the color stays green. The only problem is that the soda makes the veggies mushy and adds unnecessary sodium to the diet. Perhaps to overcorrect, we steered the other way, steaming our green beans, squash and carrots, turning die-hard Southern veggie fans off in the process. I recall family dinners where a younger cousin brought an inventive vegetable dish full of undercooked beans and carrots. The old-timers, longing for canned green beans cooked in bacon grease, scoffed at the creativity. But we don't live that way anymore. We graze constantly, and we live with a burger in one hand and a handful of edamame in the other. Since we eat what we want, we can and should get the idea out of our heads that Southern vegetables must taste like pork fat. They ought to taste like themselves. Let's take inspiration from the past but cook the way we want, starting now. The three recipes I share today involve a couple of modern approaches to cooking Southern veggies. The first, the green beans, are cooked on top of the stove in just enough water to cover the beans halfway. They are cooked through and not crisp. Most importantly, they are free of animal fat. This is a method my mother developed out of creativity and the need to put something healthier on the dinner table. The uncanny mix of olive oil, onion, brown sugar, salt and pepper gets magically smoky, and it seasons the beans in a most satisfying way. You can take a similar approach to cooking fresh carrots. Peel and slice them into matchsticks, and place them in a saucepan with only enough water to cover, then season with single pinches of salt, sugar and butter. Cover and steam until just tender. What you will taste is what you should taste — carrots! And, come cooler weather when turnip and mustard greens come into the market, cook those greens in a heavy cast iron Dutch oven, if you dare. You may need a little extra water as the greens cook down but you’ll still want to cook them in as little water as possible. Add seasonings you like and you’ll get powerfully flavored Southern greens, bright and fresh with flavor. The second recipe, squash, uses a similar method as the beans and carrots. 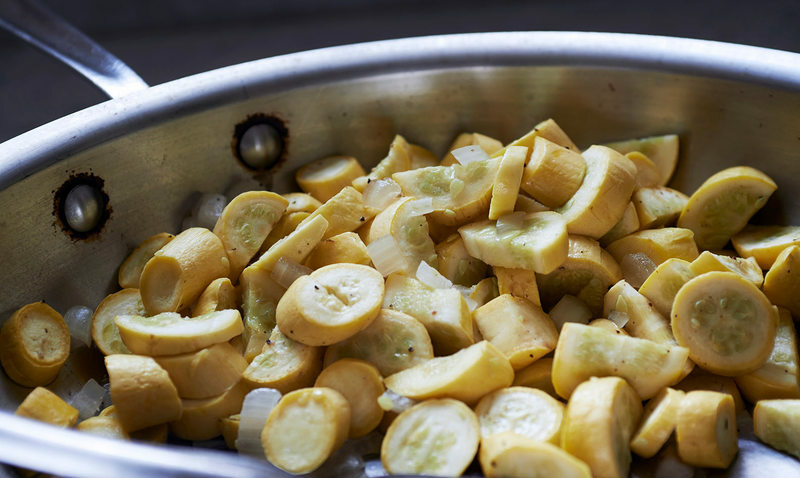 Slice fresh crookneck squash and a little onion in a saucepan, and add only enough water to almost cover the squash. Cover and cook until just fork-tender. Drain well, then toss the squash back into the pan for a light sauté and seasoning. Add butter and more onion, and let it caramelize over medium heat, then a seasoning of salt and pepper and you’re done. Or toss shredded sharp cheddar on the top and run the pan under the broiler. You’ll never remember having squash that tasted this good. 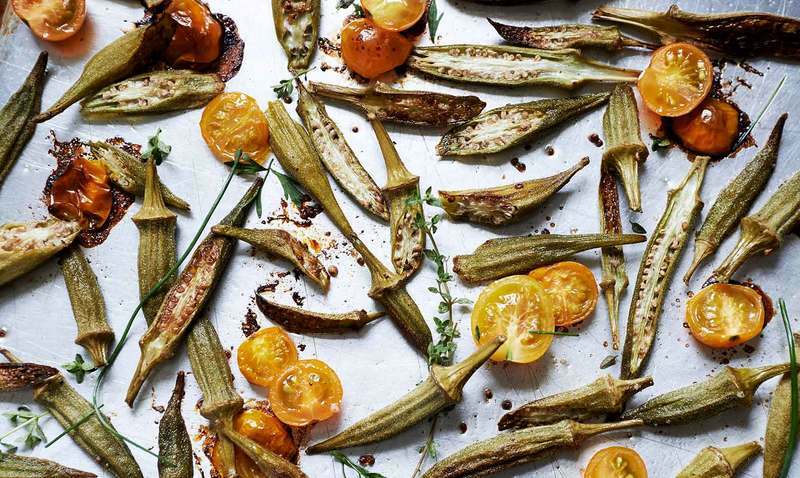 The third recipe is for roasting our good friend okra. There’s no need to bread and fry these beautiful green veggies as they pile into season. 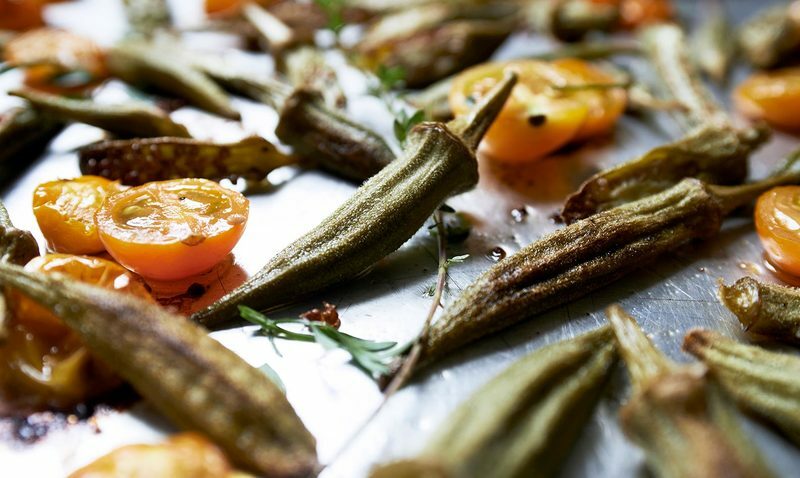 Bring okra's true flavor to life by slicing it lengthwise, into thirds or however you like, then tossing with olive oil and a small pinch of salt, and roasting on a sheet pan at 400 degrees until browned and tender. This is important: Season them at the end of the roasting process. Salting ahead of time tends to over-salt the vegetable, as salt magnifies in flavor when roasting. I add a pinch of sea salt before tossing with olive oil, then I taste the okra when they come out of the oven. If they need more salt, I add it. You can also add minced onion for a sweet caramelized contrast, and halved cherry tomatoes at the end for a wonderful okra-tomato marriage. Just make sure to cook at a high enough heat so the okra browns, then run a metal spatula under it and transfer it to a platter for pre-dinner snacking, or to accompany steaks and mashed potatoes. Mixing and matching veggies on a sheet pan, slicing okra lengthwise or leaving it whole for a visual change of pace, salting at the end of cooking so not to over-season, adding a handful of chopped fresh parsley or basil to dress up a finished dish, and using butter and good cheeses intentionally to season and garnish vegetables instead of over-powering them: these are other ways we can rethink the way we cook. Meat and three isn't going anywhere; these meals are part of our culture. What is changing is the way we want our veggies to gain the spotlight they so rightly deserve. See the recipe for Bebe's Green Beans below. Snap the trimmed green beans in half and place in a large saucepan. Add enough water to cover the beans only halfway. Add the onion, olive oil, brown sugar, and about 1/4 teaspoon each of the salt and pepper. Place the saucepan over medium-high heat, and bring to a boil. Reduce the heat to low, cover, and simmer until the beans are just tender, 20 to 25 minutes. Taste one of the beans to test for doneness. If you like beans cooked a little longer, continue to simmer until they are your desired doneness. Drain most, but not all, of the water from the pan. Season again with salt and pepper. 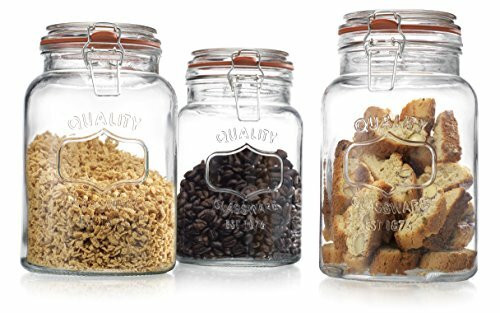 Serve, or let cool and store in the fridge until ready to serve.